As Mental Health Awareness Month draws to a close, the stigma surrounding mental health issues—and those who seek help for them—endures. While I believe being in therapy is more normalized than ever, the sad fact remains that the reason people cite most for not seeking it is concern about how others will see them (Corrigan, 2004). Our efforts to eradicate stigma clearly have a long way to go, and therapists must lead the way. When I enter into a new counseling relationship, I make sure to find out what the person’s beliefs are about seeking help. Some have a clear idea. 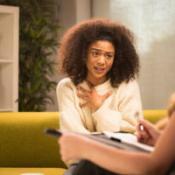 Others, particularly those who are new to therapy, are at a loss or have assumptions grounded in stereotypes. The point is, I ask. I acknowledge that counseling, therapy, and “treatment” can be a scary concept, let alone a reality. It’s important to remedy any archaic assumptions and to tread carefully with topics that elicit fear. There is some research being done regarding self-stigma, or the internalization of perceived public stigma, that seems to support the idea of more transparent interventions to help reduce the negative impact of stigma itself (Schreiber & Hartrick, 2002). As many people in therapy see insurance as a vital financial lifeline and diagnosis tends to be required in order to use it, settling on a diagnosis is often at the forefront of sessions. 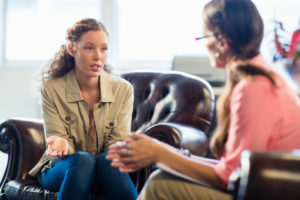 Stigma stems from misconceptions about what depression, anxiety, bipolar, and other issues mean, so it makes sense people in therapy might be leery knowing that a diagnosis must be applied to use their insurance benefit. Because of this and my own beliefs about diagnosing, I am transparent about any potential diagnosis codes I use. Not only do I discuss this part of the process during the first session, I open the DSM-5 and cross-check the criteria against the person’s symptoms. I make it clear that the diagnosis is merely a language used to reference an array of symptoms that appear together. I have found that allowing people to participate in the diagnosis process and discussing their experience in this way can be empowering. But the fight against stigma requires those who know it best to do even more. Every time a therapist loudly and proudly talks about being in therapy themselves, I can’t help but think stigma takes a big hit. Most importantly, I engage in my own therapy and, when appropriate, disclose this to the people I help. I also share this with my social circles, colleagues, even the occasional stranger at the grocery store. Every time a therapist loudly and proudly talks about being in therapy themselves, I can’t help but think stigma takes a big hit. Most clinicians I have met, after all, are quite human. They all go through the normal ups and downs of life. Regardless of our education or experience, we are not immune to the mental health issues we work to help others manage or overcome. Participating in our own therapy, and talking about it, allows us to level with the people we serve and to better understand how difficult it can be to share vulnerable parts of our lives with strangers. It also allows the people we serve to see what a person who seeks help looks like. Imagine being able to dispel myths about therapy and the people who seek it just by being open about our own challenges in our everyday lives. If you’re a therapist and have wondered what it’s like to be on the other side of the couch, or for another professional’s perspective on what you can do to combat mental health stigma, work with a therapist in your area. If you’re not a counselor and have wondered about therapy’s promise, try it out. As I often say to my new clients, therapy is an experiment—if the status quo isn’t working for you, give it a shot and see what happens. Corrigan, P. (2004). How stigma interferes with mental health care. American Psychologist, 59, 614-625. Schreiber, R., & Hartrick, G. (2002). Keeping it together: How women use the biomedical explanatory model to manage the stigma of depression. Issues in Mental Health Nursing, 23, 91-105. Vogel, D. L., Wade, N. G., & Hackler, A. H. (2007). Perceived public stigma and the willingness to seek counseling: The mediating roles of self-stigma and attitudes towards counseling. Journal of Counseling Psychology, 54, 1, 40-50. 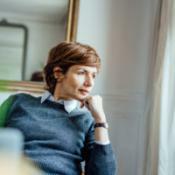 When my therapist told me she was in therapy, my first gut instinct was like, “What’s wrong with you and why would I want to receive therapy from someone who needs it herself?” But then I came to realize just what this article says, which is that therapy is not a sign of weakness but of strength. I am comforted to know that my therapist is human, but more importantly I am comforted to know she owns her “stuff” as she calls it and works on it. Just like I do.